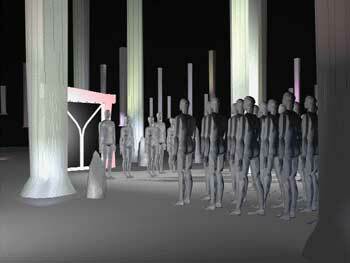 Walk-through and fly-over animation for Art Direction/Set Design, Architectural and Interior Design Previsualization. Click the image to download a previsualization animation for the waiting room in Heaven set for Gabrielle. 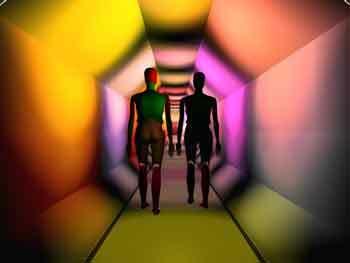 Click the image to download a previsualization animation for the Tunnel to birth set for Gabrielle.